Last April 20 the New England Journal of Medicine (NEJM) published an on-line article entitled “Short-term and Long-term Health Risks of Nuclear-Power-Plant Accidents” by Dr. Eli Glatstein and five other authors. The article was riddled with distortions and misinformation, and overall was very poor research. As the NEJM is a peer reviewed journal and has a significant letters section, I wrote a letter pointing out some of the errors committed by the authors, and a longer piece containing a comprehensive critique. The NEJM demands that letters to the journal contain material that has not been submitted or published elsewhere, so I had to refrain from submitting my longer piece anywhere until the NEMJ made a decision on my letter. When my letter did not appear after a couple of weeks I inquired, and was told that the article would soon appear in the printed version of the Journal, and that no letters about the article could be published until after the print version came out. The printed version finally appeared on June 16. However, on July 1,1 was notified by the NEMJ that they would not publish my letter due to “space constraints.” The four letters that they did publish in response to the article were at most only mildly critical and missed the glaring short-comings of the report. In other words, NEMJ sat on my letter and effectively stifled my critique of what can only be described as industry propaganda for almost three months until public attention had moved on to other matters. However, with attention once again focused on the still-out of control Fukushima reactors on the first anniversary of the accident, my expose on how the media and academia have joined together to downplay the dangers of nuclear power is a poignant as ever. 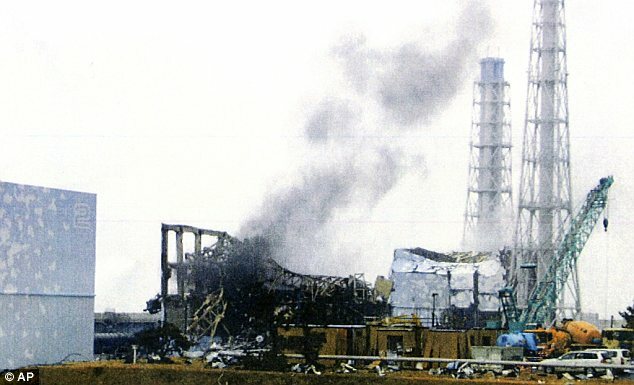 Since the nuclear disaster in Fukushima started in March, the media has been full of misinformation about the dangers posed by the nuclear accidents and the damage caused by past accidents such as those at Chernobyl and Three Mile Island. Whether it is Jay Lehr on Fox News or George Monbiot on Democracy Now,2 the story line is the same: there were only dozens of deaths from the Chernobyl and none from TMI, the health consequences for the general population are negligible, and all things considered nuclear power is among the safest forms of energy. In some cases the lines are spoken by industry hacks whose true motive is to protect profits, while other times the spokesperson is a global warming tunnel visionist who has lost sight of the fact that we as humans have ingeniously devised a multitude of ways to mess up our planet, including nuclear wars and disasters. The reference to 50 deaths pertained to those “directly attributed” to radiation from the disaster. Moreover, this report represents the most conservative of studies from credible sources, with other estimates reaching as high as almost one million Chernobyl deaths. Lehr works for a public policy think-tank and Monbiot is a journalist. Perhaps we should expect writers from those professions to misleadingly cite sources in order to promote a preset agenda in the hope that no one will check their sources. However, it comes as a shock that medical doctors writing in a prestigious medical journal like the New England Journal of Medicine (NEJM) would resort to the same practice. On April 20 the NEJM published an article by six doctors entitled: “Short-term and Long-term Health Risks of Nuclear-Power-Plant Accidents.” I will not presume to know what the motives of the authors were or what led them to their erroneous conclusions, but I do feel the need to point out the errors that somehow the NEJM’s peer review process failed to notice. The authors prominently cite two International Atomic Energy Agency (IAEA) studies in downplaying the deaths from Chernobyl. The authors state that “[a]lthough the Three Mile Island accident has not yet led to identifiable health effects, the Chernobyl accident resulted in 28 deaths related to radiation exposure in the year after the accident. The long-term effects of the Chernobyl accident are still being characterized, as we discuss in more detail below.” What is the reader intended to take from this statement? First of all, that the TMI accident in its totality did not cause any health effects that have been identified, which is itself a problematic statement. Secondly, that the total deaths from Chernobyl were the 28 in the first year plus whatever would be discussed later in the paper. As it turns out, the rest of the paper only mentions fatalities one other time, and that is that 11 of 13 plant and emergency workers that underwent bone marrow transplants died, and it is not clear whether or not these eleven are included in the above mentioned 28 fatalities. So the reader is left with the impression that the studies that the NEJM authors are citing conclude that the Chernobyl accident in its totality produced only a few dozen fatalities. However, just as with Lehr and Monbiot, the NEJM authors start with the most conservative studies and then are misleading in their citations. They ignore the existence of high-profile studies that draw very different conclusions, omit the more damning parts of the studies they do cite, and then quote statements that were not intended to portray the totality of the accidents as if they were bottom line conclusions. The projections indicate that, among the most exposed populations (liquidators, evacuees and residents of the so-called ‘strict control zones’) total cancer mortality might increase by up to a few per cent owing to Chernobyl related radiation exposure. Such an increase could mean eventually up to several thousand fatal cancers in addition to perhaps one hundred thousand cancer deaths expected in these populations from all other causes. An increase of this magnitude would be very difficult to detect, even with very careful long term epidemiological studies. [t]he Agency shall seek to accelerate and enlarge the contribution of atomic energy to peace, health and prosperity throughout the world. It shall ensure, so far as it is able, that assistance provided by it or at its request or under its supervision or control is not used in such a way as to further any military purpose. Thus, the IAEA was created to PROMOTE nuclear power (while checking the proliferation of nuclear weapons). It therefore cannot be assumed to be an unbiased or authoritative source of information on the health risks of nuclear power. The NEJM article is misleading or inaccurate in other instances. For instance, its discussion is weighted too much towards whole body radiation, which is really only relevant to the emergency workers. The article acknowledges that it is not whole body radiation, but rather internal contamination that is “the primary mechanism through which large populations around a reactor accident can be exposed to radiation.” So why emphasize whole body radiation if it is not the mechanism through which populations are endangered? They then launched into a long discussion about acute radiation sickness, which is largely a red herring since the threat to the general public is mainly from cancer. The NEJM article further obfuscates the issue with a table that compares the effective doses of radiation that a resident near a nuclear accident is exposed to with what someone is exposed to from something mundane like an airplane ride or a chest x-ray. This is like comparing the force of a cool breeze to the force of a knife slicing the jugular. The knife is lethal because it allows a very small amount of force to be concentrated on a vulnerable target. Similarly, the risk to Fukushima residents is not radiation spread out over their entire body, but rather radioisotopes like iodine 131 being concentrated by biological processes into a vulnerable target like the thyroid. The NEJM authors mislead in other ways. They write “After Chernobyl, approximately 5 million people in the region may have had excess radiation exposure, primarily through internal contamination.” They cite the second IAEA study. The reader is likely to assume that up to 5 million people in the countries in Europe and Asia where the fallout from Chernobyl may have reached could have been exposed to excess radiation (i.e. radiation in excess of normal), and that this is the limit of exposure to internal radiation. More than five million people live in areas of Belarus, Russia, and Ukraine that are classified as ‘contaminated’ with radionuclides due to the Chernobyl accident (above 37 kBq m-2 of 137Cs). On the same page, the report also states that “The cloud from the burning reactor spread numerous types of radioactive materials, especially iodine and caesium (sic) radionuclides, over much of Europe.” It added that radioactive cesium-137 “is still measurable in soils and some foods in many parts of Europe.” Thus, there certainly were people outside of this narrow region of 5 million inhabitants who also were exposed to Chernobyl radiation through their environment and food. Indeed, the authors discuss the move by Polish authorities to administer potassium iodide to 10 million Polish children. Obviously Polish officials feared radiation exposure to these people. Furthermore, there is major omission in the authors’ discussion of radiation. They discuss beta and gamma radiation, but do not mention alpha radiation. They then go on to dismiss the danger of plutonium contamination, which is dangerous precisely because it is an alpha emitter. They state that “Radioisotopes with a … very long half-life (e.g., 24,400 years for plutonium-239) … do not cause substantial internal or external contamination in reactor accidents.” The authors are either lying or ignorant. The danger from plutonium-239 has nothing to do with its half-life (long half-lives indicate slower radioactive decay). Plutonium, if ingested internally, is dangerous because the large and heavy alpha particles it emits are the most damaging to DNA and the most likely to cause cancer. In fact, Plutonium is the most lethal substance known to mankind. As mentioned above, the IAEA cannot be thought of as an authoritative, unbiased source of health information given its explicit mission of promoting nuclear power. The same can be said for other sources cited by the authors, including the U.S. Nuclear Regulatory Agency and the Nuclear Energy Agency of the Organization for Economic Cooperation and Development. At the same time, the authors ignored prominent studies produced independently of the nuclear industry and affiliated governmental bodies that indicate that there were indeed serious public health consequences from the Chernobyl and Three Mile Island accident. Significantly, the authors failed to mention the seminal work on the consequences of radiation exposure from Chernobyl done by Yablokov, Nesterenko and Nesterenko of the Russian National Academy of Sciences.3 This team of scientists from Russia and Belarus studied health data, radiological surveys and 5,000 scientific reports from 1986 to 2004, mostly in Slavic languages, and estimated that the Chernobyl accident caused the deaths of 985,000 people worldwide. Given the prominence of this report and the fact that its findings are completely at odds with the conclusions reached by the IAEA and other sources cited by the authors, it was intellectually dishonest not to mention the report if only to dismiss it. Indeed, the Yablokov et al report is hardly the only major study to contrast starkly with the minimalist portrayal of the health consequences from nuclear accidents. Regarding Three Mile Island, there is the June 1991 Columbia University Health Study (Susser-Hatch) of the health impacts from the TMI accident published its findings in the American Journal of Public Health and subsequent work by Dr. Steven Wing of the University of North Carolina. These studies point to increased incidences of cancer in areas close to the reactor or downwind from it. Although the radioactivity in seawater close to the plant may be transiently higher than usual by several orders of magnitude, it diffuses rapidly with distance and decays over time, according to half-life, both before and after ingestion by marine life. Japan has a massive fishing industry because, along with rice, fish is the staple of the Japanese diet. Any release of radiation into coastal fishing grounds will wind up being concentrated through biological processes as it works its way up the food chain and eventually to the Japanese dinner table. The narrow restrictions on commercial fishing near the Fukushima coast may be obeyed by fisherman, but many of the fish they seek are migratory, and there is no way of preventing these fish or their food sources from passing through contaminated water. Moreover, the claim that the radioactivity “decays over time” glosses over exactly how much time. While some of the radioisotopes being spilled into the ocean have half-lives of days, others have half-lives of years and even millennia. The impact on health from releases into the ocean cannot be so lightly dismissed. It is this proximity to Tokyo, one of the world’s most densely populated metropolises, that could make Fukushima the worst industrial calamity in history. An increase in cancer mortality even of the “difficult to detect” scale referred to by the IAEA study described above could condemn several tens of thousands of people. And that is far from being the worst case. The NEJM authors and others who propagate myths about the minimal casualties from Chernobyl and other accidents feed into a mindset that is leading to disastrous policy decisions. The only way to correct course is to identify the myths and the mythmakers. Titus North is an adjunct professor in the University of Pittsburgh’s Political Science department. 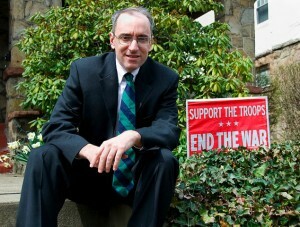 He has worked for the Thomson Reuters since 1989 as a political and financial analyst and was the Green Party Candidate for US Congress in 2006 and 2008. He is the author of the novel Operation Patriotic Toilet Seat, published by Enlightened Pyramid Publications. Read other articles by Titus. 1 Comment on "Media, Academia Join Forces to Downplay Dangers of Nuclear Power"
Thanks for this article. Nuclear power is enjoying a public relations revival lately, with Fukushima being merely a blip of a public relations challenge. I suspect this has more to do with the fact that the arts of black and gray propaganda are now practiced with great rigor and sophistication in business, rather than recent advances in nuclear engineering. The authors of an otherwise interesting book (“Abundance”, by Peter Diamandis and Steve Kotler) are effusive in their praise of the newest nuclear reactor designs, almost suggesting that household nuclear reactors will soon become the norm. We are in serious trouble as a nation.